The American Association of Amateur Astronomers has evolved into an online resource for amateur astronomers worldwide. Our resources and information online are free to everyone for the browsing. The American Association of Amateur Astronomers is proud to offer you our AAAA Info Packet to help you get started in astronomy - even if you are already a member of an astronomy club. This packet contains the following items. The AAAA booklet A Primer for the Beginning Stargazer. The booklet Getting Started in Astronomy by Sky & Telescope Magazine. The flyer Choosing Your First Telescope from Sky Publishing. A list of products available from Astronomical League Sales. 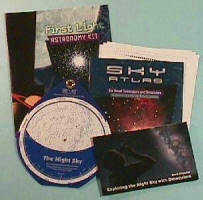 A Packet of Observing Programs from the Astronomical League. Free AAAA logo ballpoint pen - suitable for filling out observing logs. Flyers and information about ALPO, NASA, and other astronomy and space related activities. 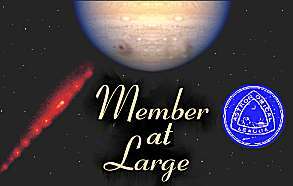 What does the Astronomical League offer to you, as a Member-at-Large? If you wish to join an astronomy club and receive the benefits of being a member of the Astronomical League, but do not have an astronomy club near where you live, consider joining the Astronomical League as a Member-at-Large. A subscription to the Reflector, our quarterly newsletter. The Book Service through which you can buy astronomy-related books at a 10% discount if not already sold through League Sales. A choice of astronomy-oriented magazines at a discounted price. 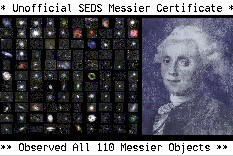 Eligibility for all Astronomical League awards, both national and observing. Participation in an organization that promotes education, observing, research and communications. Contains a Planisphere, Booklet, Sky Atlas and more. Our popular kit consists of a pair of Bushnell PowerView 10x50 Binoculars, the Chandler First Light Astronomy Kit, and an AAAA Info Pack.